Japan’s Suntory is well known for its single malts, but it also blends whisky from time to time. With Toki (“time” in Japanese), it’s trying something a little different. Specifically, Toki is a blend of a number of Suntory’s other whiskies, including spirits from Hakushu Distillery, Yamazaki Distillery, and Chita Distillery. While Suntory Whisky Toki respects tradition, it also challenges whisky convention by rethinking the hierarchy of its components. Suntory blends often use Yamazaki malts as their key component. Inspired by the spirits of innovation, the House of Suntory’s fourth Chief Blender Shinji Fukuyo took a fresh approach with Suntory Whisky Toki, selecting the singular Hakushu American white oak cask malt whisky — with its unique freshness, mellowness and spectacular green apple notes — as one of the blend’s two pillars. To complement that selection, Fukuyo chose Chita heavy-type grain whisky as the blend’s second pillar, adding a clean taste with notes of sweetness and vanilla. By pairing these seemingly dissimilar but deeply accordant whiskies, Fukuyo’s insight overturned the old relationship between malt and grain and created a blend that is both groundbreaking and timeless. Traditionally in Suntory blends, grain whiskies have played merely a supporting role, acting as a broth or dashi to accentuate key malts. But the unrivalled sophistication and wide range of grain whiskies produced at Suntory’s Chita distillery led Shinji Fukuyo to rethink that role. He saw these whiskies, with their exquisite balance of complexity, subtlety and refinement, not as a scaffold for the heroic malt to ascend but as true heroes in their own right. This unique encounter between Hakushu malt and Chita grain whiskies gives Suntory Whisky Toki its silky taste and vivid character. To give the blend greater depth and complexity, Fukuyo carefully selected two Yamazaki malts. Yamazaki American white oak cask malt whisky harmonizes the Hakushu and Chita components, while bringing roundness and reinforcing the sweetness of Chita heavy-type grain whisky with peach and custard aromas. Finally, Yamazaki Spanish oak cask malt whisky adds woody and bittersweet notes to the blend. Well, color me curious. Let’s give Toki a try. Here’s how it comes across. Toki is surprisingly light in hue, reflecting what must be significant youth at its core. The nose is also quite light and spry, fragrant with mixed grains, a whiff of smoke, bouquets of fresh flowers, and notes of incense and jasmine. It’s all very clean, a gentle counterpoint to some of the world’s more intense single malts. The palate is equally light and fresh, offering sweetened cereal notes, green apple, brown sugar, and a touch of spearmint. On the finish, it’s more of the same, though the sweeter notes tend to dominate along with touches of ginger and cinnamon. 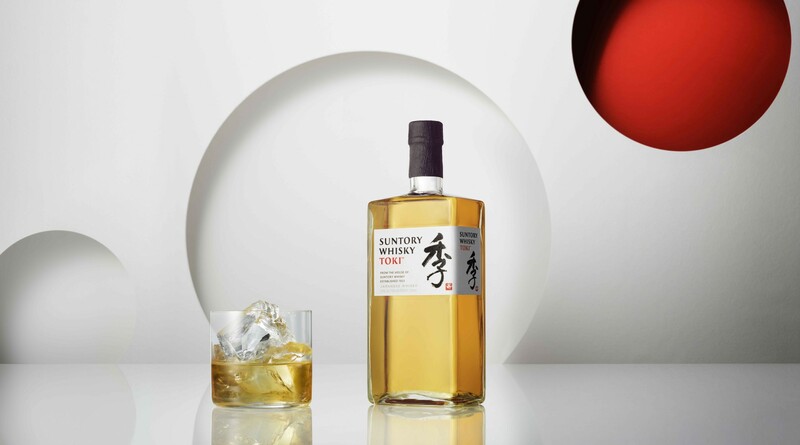 There’s nothing fancy about Toki, but Suntory has put a lot of care into blending a very light and gentle spirit that surprises with its level of success. This lightness reminds me quite a bit of the recently-reviewed Kikori, again proving that intricate and complex flavors need not come from heavy-handed production methods. Very nice afternoon whisky. Less peat than Scotch and an excellent calue6at $45 per 750 miles. Good review—led me to buy some. Nice and light for summer sipping on own, with soda, or in a Boulevardier. Gerald – very interesting. The “Toki means time” tidbit is direct from Suntory — so I’m curious about that. Here it says that Kanji refers to “the flow of time”… https://en.wiktionary.org/wiki/%E6%99%82#Kanji – thoughts?